My father is getting on for 90 and my mother is 87, and taking care of both of them can sometimes feel a lot harder than handling two young kids. That thought struck me again recently when I took them to see the cherry blossoms at Gardens by the Bay. My mother has had to rely on the wheelchair for many years now because of a series of strokes but, until three years ago, my father had been able to walk on his own - albeit with an aid. Now, with advancing old age and Parkinson's disease, he too needs a wheelchair. Making the weekly trip to St Andrew's Community Hospital for their psychiotherapy sessions isn't a problem because I would book an ambulance for that. But somehow, using an ambulance to take them to Gardens by the Bay wasn't my idea of a family outing and I was wondering if my car boot would be big enough to accommodate two wheelchairs. As it turned out, after considerable heaving and shoving, my helper Menti and I managed to pack the chairs into the car and my parents got to enjoy a break in their normal routine, revelling in the splendour of the cherry blossoms. That was just one of the numerous challenges I faced in taking care of my aged parents. For many people, dealing with one aged parent is daunting enough. To have to take care of two at the same time can feel like Mission Impossible, especially if you have a full-time job to grapple with and your own life to live. 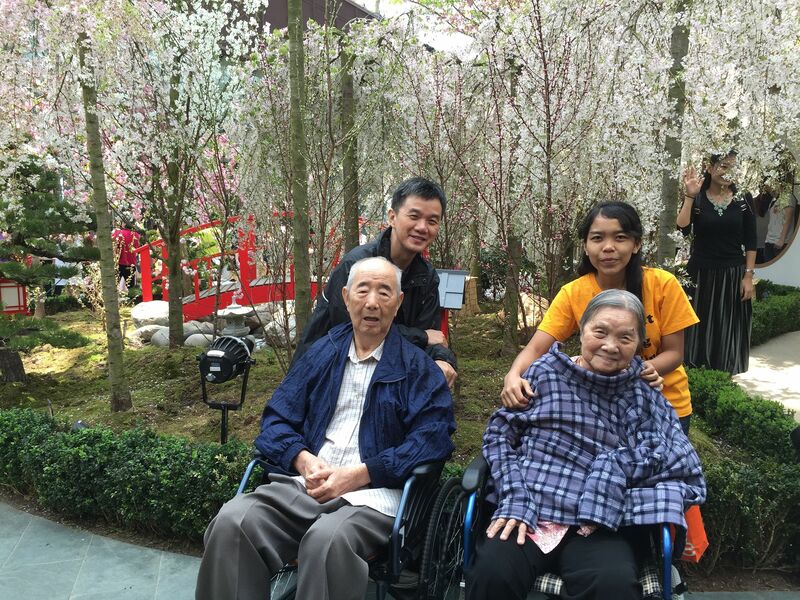 A study by the Ministry of Social and Family Development released in November 2015 showed that in 2014, 29.6 per cent of households in Singapore - 354,700 to be precise - had at least one member aged 65 and above. That is an 83.9 per cent jump from the 192,800 households with such elderly members in 2000. Yet few of us talk about the crisis in our midst. For baby boomers like me - people in their 50s and 60s - this must be the most agonising life crisis we face, as we confront the need to take care of our parents, now in their 80s and 90s and not able to fend for themselves. 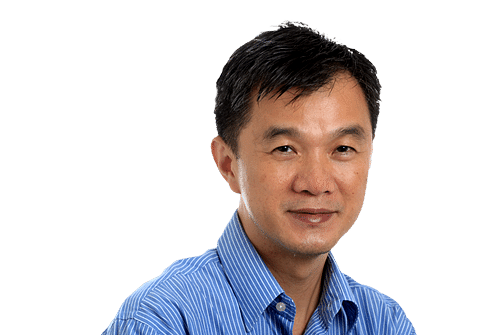 A study by the Ministry of Social and Family Development released in November 2015 showed that, in 2014, 29.6 per cent of households in Singapore - 354,700 to be precise - had at least one member aged 65 and above. That is an 83.9 per cent jump from the 192,800 households with such elderly members in 2000. Yet few of us talk about the crisis in our midst. Still, even if our aged parents are doing fine, all we need do is to look around at our friends and neighbours and the anxiety they are facing to be reminded that we will encounter the same problem one day. Fortunately, in my case, I have a strong pillar of support - my helper Menti, who has taken care of my parents for the past seven years. As my mum is unable to walk, Menti helps to bathe her and transfer her from the sofa or the bed to the wheelchair. Now, with my father's increasing enfeeblement, she has to assist him in his daily routines as well. Without Menti, it would have been impossible for my parents to continue living in their own home, surrounded by their own possessions and memories. I have a friend whose aged father suffers from dementia. He had no choice but to put his father in a nursing home after a series of helpers left in quick succession because they couldn't cope with his father's erratic behaviour. He told me that it is heart-wrenching to find his father in his more lucid moments asking when he could be discharged, and go home. Further, he has to fork out $4,000 a month to keep his father in the nursing home. That is more than what some of us might make in a month - and a sum that may bankrupt my friend eventually as he uses up his savings to service his father's stay in the nursing home. That brings me to an important point: Caring for our aged parents can sometimes stretch into a marathon with no end in sight. In my case, it started 15 years ago when my mother suffered her first stroke. Most of us are also unaware of the financial burden we are taking on. My parents' expenses, for instance, now account for the bulk of my monthly expenditure. Since our aged parents need help at a point when we ourselves are a few years away from retirement, it is important for us to get the finances right to make sure our resources are not depleted taking care of our parents, and leaving us destitute in our own wintry years. Given the escalating costs of institutional healthcare, the best way to keep expenses down is to help your parents to continue living at home. This may require you to hire a maid to look after them, if you have a full-time job and other family commitments. The first thing you should do is talk to a care consultant at an AICare Centre. These are one-stop centres set up by the Agency for Integrated Care to advise caregivers on how to navigate the various government help schemes. They are located in most public hospitals. For example, I learnt from Ms Iris Goh, at Changi Hospital's AICare, that subject to certain household income criteria, a person can get a monthly grant of $120 for hiring a maid to look after an aged parent with disabilities. That is on top of the lower foreign domestic worker levy of $60 a month. There is also a fund to subsidise purchases of devices such as wheelchairs, commodes and even hearing aids, and schemes like putting your aged parent in a daycare centre. Ms Goh also alerted me to the HDB's Ease (Enhancement for Active Seniors) scheme where an HDB household with an elderly member would be provided with grab bars, ramps and even slip-resistant treatment for toilet floor tiles at a fraction of the cost. To those in their 80s and 90s who have difficulty walking, this can make a big difference - letting them hold on to grab bars when they need to go to the toilet or kitchen. Better still, applications can be made to the HDB online, saving a lot of time for those of us who are working full time. If you have siblings, this should be the top priority - enlisting their help to share the costs of caring for your aged parents. But money is a thorny issue even at the best of times, and different people may feel differently as to how such costs should be split. Should you all contribute the same amount for the sake of fairness, or on a sliding scale if one sibling makes more than the other? Should sons contribute more than daughters? There is no easy answer. During this phase of your life, you will find that you won't have better friends than those who are helping you to care for your parents - your helper, the psychiotherapists, doctors and nurses. A word or two of appreciation every now and then, a little gift here and there can work wonders. This ensures that they know how highly you value their efforts in making your aged parents' wintry years comfortable - and that you are grateful they are there to help you out.